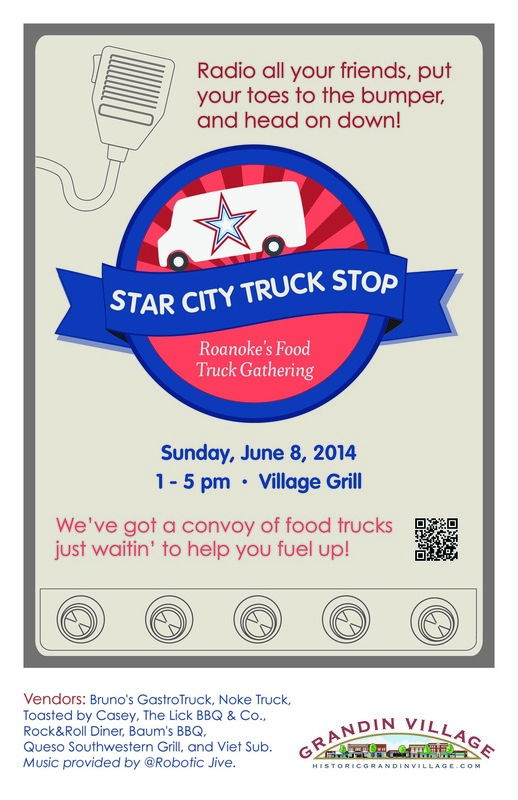 Carilion Clinic Children's Hospital is located in Carilion Roanoke Memorial Hospital. Being located inside of another branded facility makes awareness of the pediatric care, very difficult. Our goal was to gain awareness of the pediatric hospital, its location, and to link all of the pediatric services throughout the system, which allows for more seamless patient care. 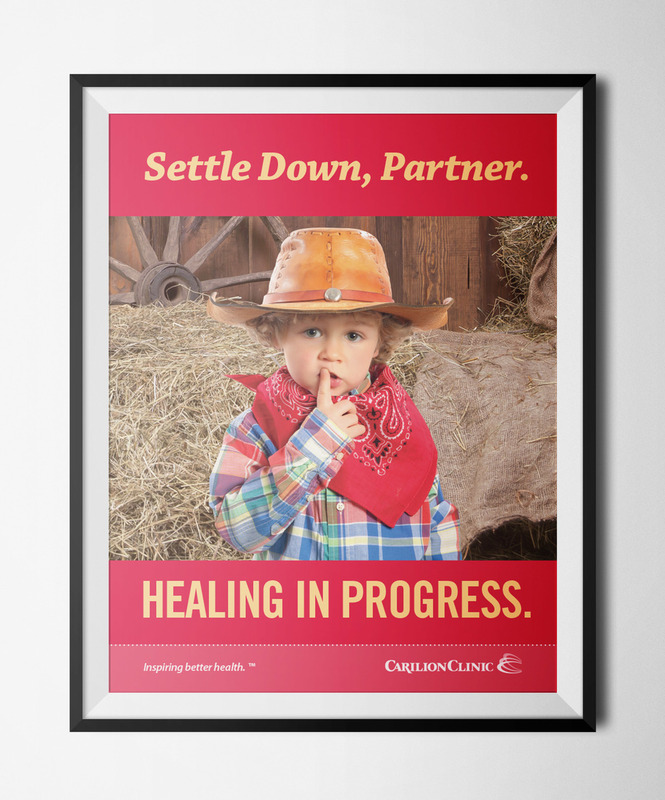 After an exploratory phase, we decided the best option would be to brand all pediatric care across the Carilion system as Carilion Children's. I was tasked with the creation of a logo and the brand's new culture, look, and feel. The logo of the butterfly is a kid-friendly evolution of the parent Carilion Clinic brand. The wings of the butterfly were created using the 3 C's in the Carilion logo and the colors used are from Carilion's first and secondary palettes. 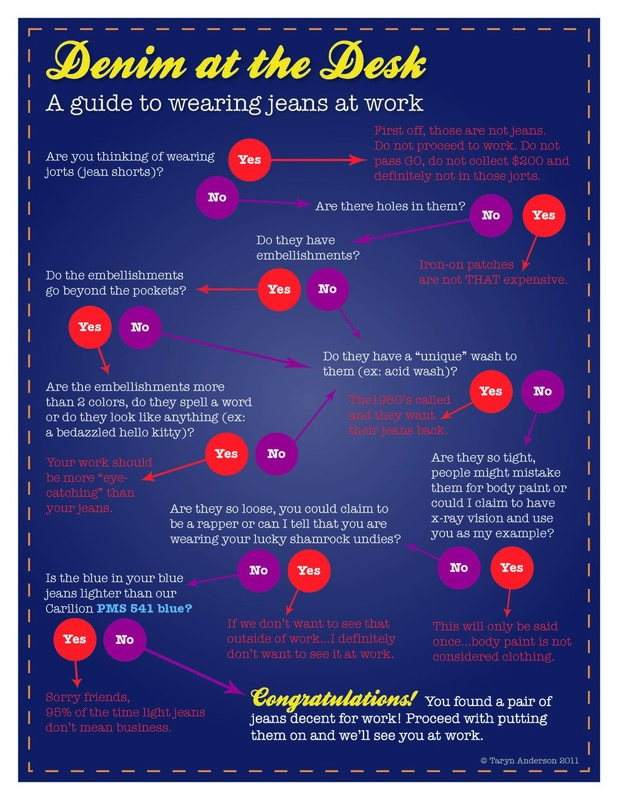 To create excitement, I suggested that we tease the public and employees. A transformation was going to occur from the old brand into something new. We used the wing of the butterfly logo as a sort of 'sneak peek' look for digital and print media. These were teased a few weeks prior to the launch of the new brand. The employee launch started in mid-October 2015 and the public launch was in the beginning of November 2015. Pediatric staff was given Carilion Children's shirts with the butterfly wings on the back to encourage them to be brand ambassadors. We planted street decals on walkways, wore shirts to events all of the services areas, and used several other promotional tactics to gain awareness. Creation and system-wide approval of the new logo, tag line, and brand concept was completed in less than 30 days. We have received rave reviews from the transformation teaser through the reveal of the new brand. Over the first two months, October and November, we gained traction on social media. Facebook had 25 posts that garnered 42,508 impressions, 1,113 engagements, and the most popular post had 261 shares. Twitter had 19 tweets that garnered 5,693 impressions and 68 engagements using #CarilionChildrens. Instagram had 10 posts that garnered 161 engagements, using the same hashtag. Many people in 50+ age market are hesitant to get a colonoscopy. 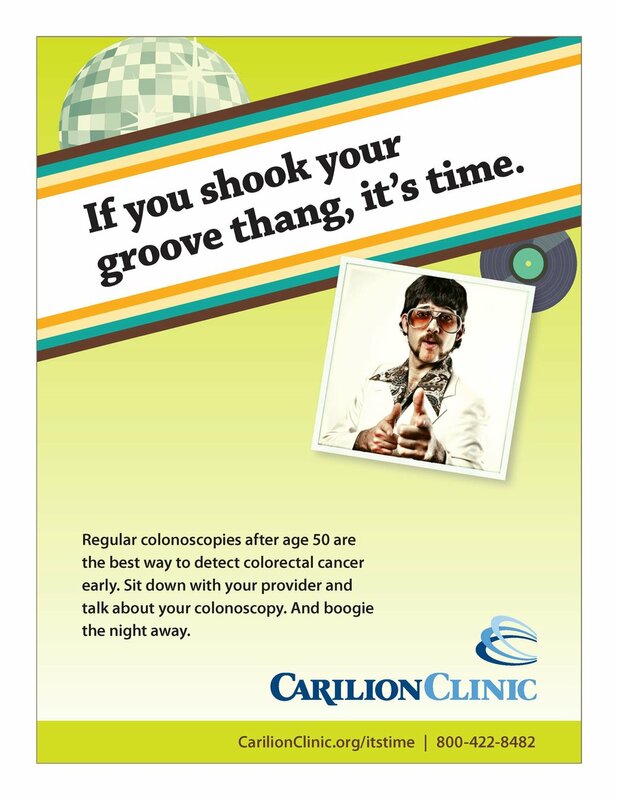 Our goal was to increase colon cancer awareness and encourage the 50+ target audience to get their annual colonoscopy. The strategy was to use humor and trigger memories that were definite age markers. 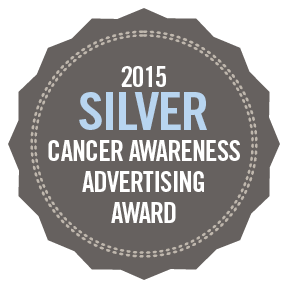 Because March is national colorectal cancer awareness month, we chose to place print ads, fliers, and digital ads during that entire month. Print ads were placed in outlying southwest Virginia community newspapers, where audiences were more avid readers of those publications. 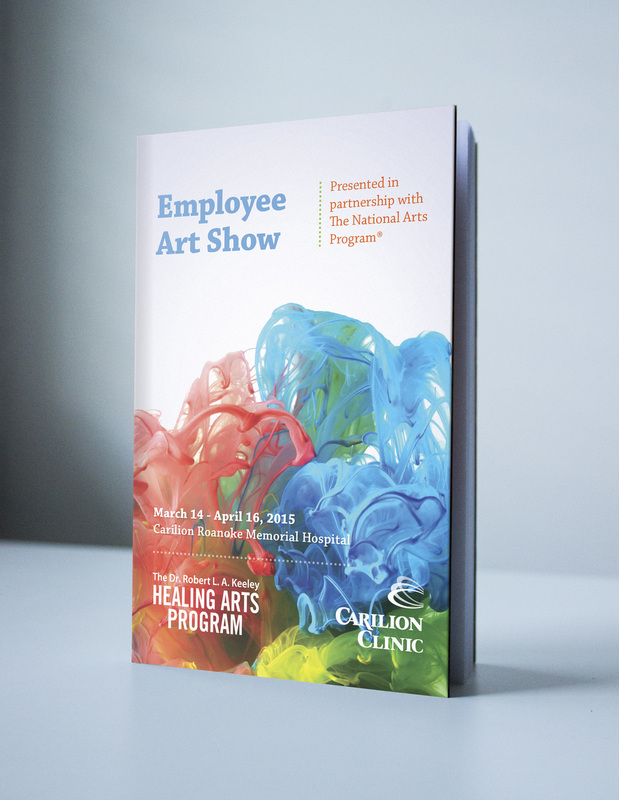 We made fliers available to Carilion Clinic family medicine and specialty services offices across the region. We placed digital ads on Facebook and organic posts on Twitter and Instagram. The social engagement was quite surprising to me. People tagged friends and family in the company posts, shared our ads, and uploaded their stories to our Facebook page. I even received several phone calls about how much people enjoyed the concept we used. We ran newspaper social media. Facebook had 3 versions of the ads and a budget of $400, which garnered 1,067 website clicks, 307 engagements, and the most popular post was the prom design. Twitter had 9 tweets that garnered 3,678 engagements. Instagram had 6 posts that garnered 40 engagements. In early 2014, we were asked to update our mammogram awareness campaign, Yes Mamm, which had been running for four years. They requested a refresh, but not an overhaul, because the campaign was, and still is, well received. We determined that our goal was to integrate the campaign socially, to educate the public, and encourage social discussions on how mammograms save lives. We felt that we could accomplish this using digital and social media along with #YesMamm. 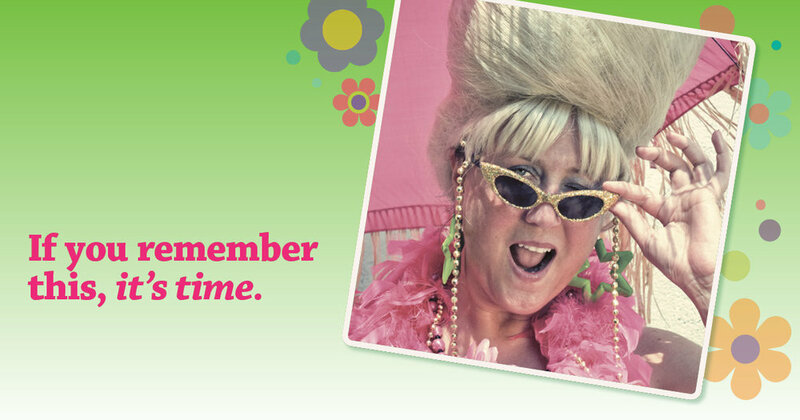 We created fun bra profile photos and educational cover photos for Facebook, Twitter, and Pinterest. We rotated the photos to keep interest and invited individuals to update their photos to spread awareness. We held an “Ask the Experts” twitter live Q&A session, where breast cancer experts answered live tweet questions. 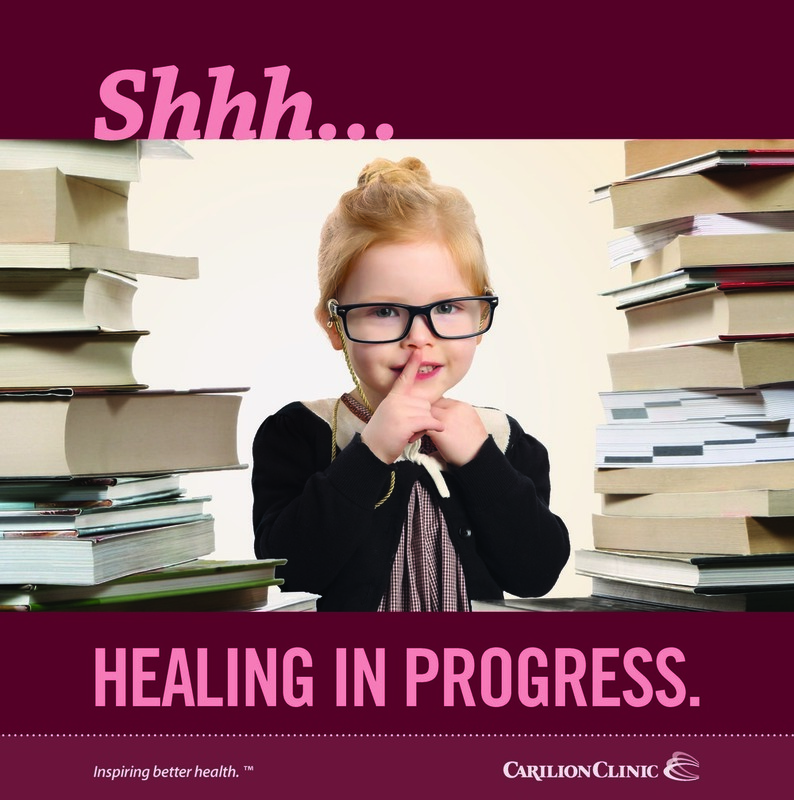 We posted employees’ DIY pink ribbon projects on Pinterest and our website (CarilionClinic.org). We used online/mobile ads, digital boards, and lobby screens to spread awareness of the campaign. We also dovetailed a month long event involving the purchase of pink pancakes at local restaurants. We encouraged customers to share in the fight against breast cancer by posting photos on social media using “YesMamm. Profits from the month long celebration were donated to our breast care center. 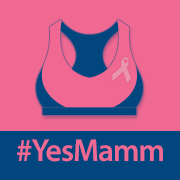 #YesMamm went viral after one tweet from Dr. Judy Salerno, President and CEO of Susan G. Komen. On Facebook, during the month of October: we increased our total engagements by 200% and our total impressions were 211,003; including 162, 274 organic impressions. On Twitter in the month of October: our followers increased by 5.8% and our live Twitter Q&A had 4,624 impressions. On Pinterest, during the month of October, our engaged users increased by 178%. On CarilionClinic.org, in the month of October, our YesMamm webpage views increased by 18.5% and unique visitors were up 38.9%. 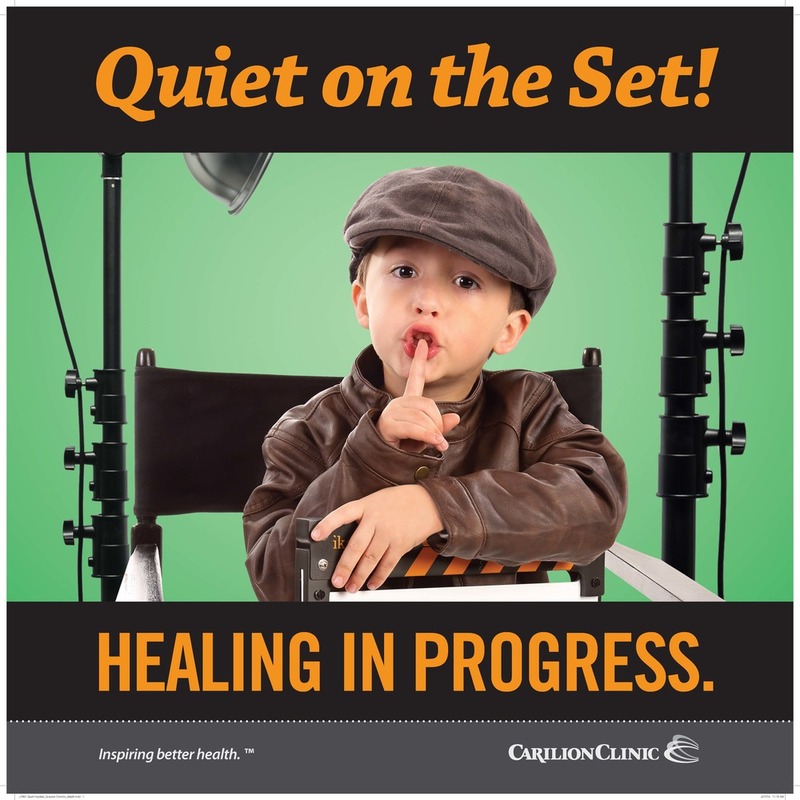 We were asked to create a public awareness campaign encouraging lower audible levels to help patients heal more quickly. The audience would be anyone that was in the hospital, including: patients, visitors, vendors, and employees. We were also requested to incorporate employees’ children, if possible. Our goal was to quickly and easily relay that an individual was in a quiet hospital and to please keep their noise level to a minimum. We also wanted to make sure the message was clear no matter an individual’s literacy level or language. We felt that using public spaces, like lobbies, waiting areas, and entrances, would help us catch all individuals needed to keep our hospital quiet and healthy. We chose wall decals and 22x28” posters as the best mediums to work easily across our facilities and environments. The concept we chose was to use employees’ children in adult costumes/scenery, holding up a finger to their lips to show the well-known body language for asking someone to be quiet. We used different headlines with some to add humor to our request for quiet. We created a separate poster with dry-erase capability for certain floors to post particular instructions and quiet times. 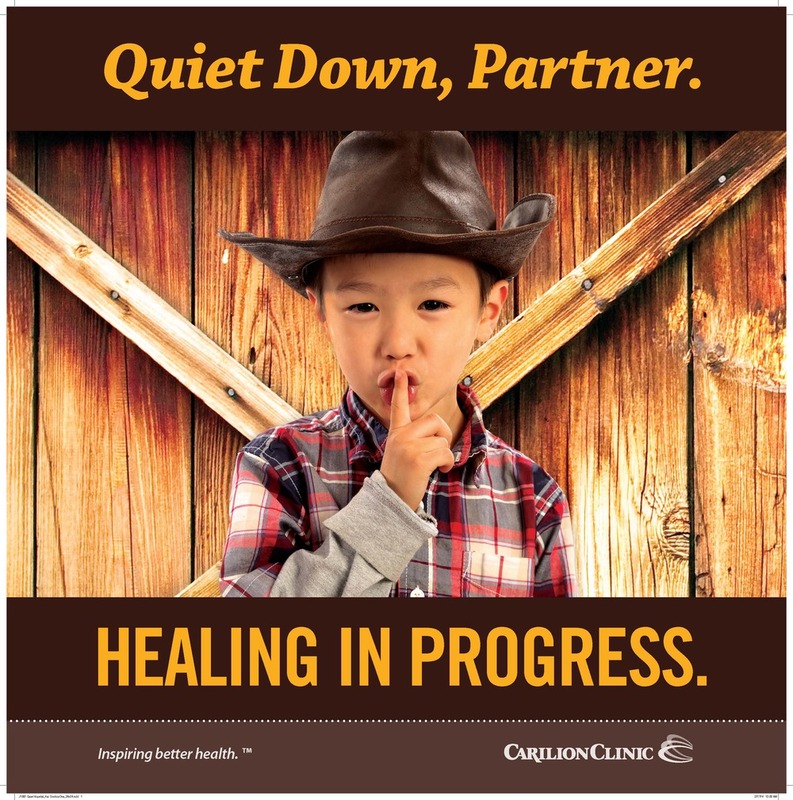 We continue to get requests for quiet hospital decals and posters on a regular basis almost a year later. We have received appreciation and compliments on the concept used for the campaign from employees, patients, and visitors. Stairwellness™ is a campaign that we launched in 2013 to encourage healthier choices when traveling. A variety of efforts were made in multiple facilities over the year, including: repainting stairwell and doorways, fun fact-based wall decals, social media (facebook, twitter), posters, a tv spot, web page, press releases, and internal communication via email and web. Carilion Clinic is also sponsoring the downtown Roanoke Center in the Square stairway along with providing posters, digital screens, and an information video for their lobby. As a strategy consultant and lead designer on this project, I'm happy to report it was well received and continues to be used in new and innovative ways in Carilion facilities and the community.